Merry Christmas to all! The Special Ones and Mark Yesilevskiy have come together to release the “Faceless Heroes” line, beginning with our Arturo Vidal hoodie. This extremely limited edition piece will be available for 7 days only, beginning January 1st, never to be released again! However, we will be giving away one FREE hoodie once we�ve reached 1,000 Facebook likes, and 1,000 followers on Twitter. 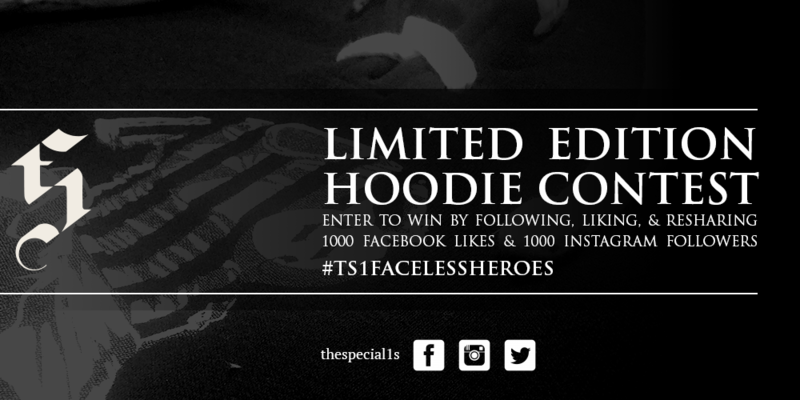 Here�s how it works: follow us, like us, and re-share with the hashtag #TS1FacelessHeroes to be entered into the competition! Only ONE will be given away, so make sure not to miss out when it becomes available!